I’m an artist and a fan of Vincent Van Gogh, which is the main reason I decided to buy this book, and I am so glad I did. It’s not really a happy ending story, but more of one with a wistful “what could have been?” feel. 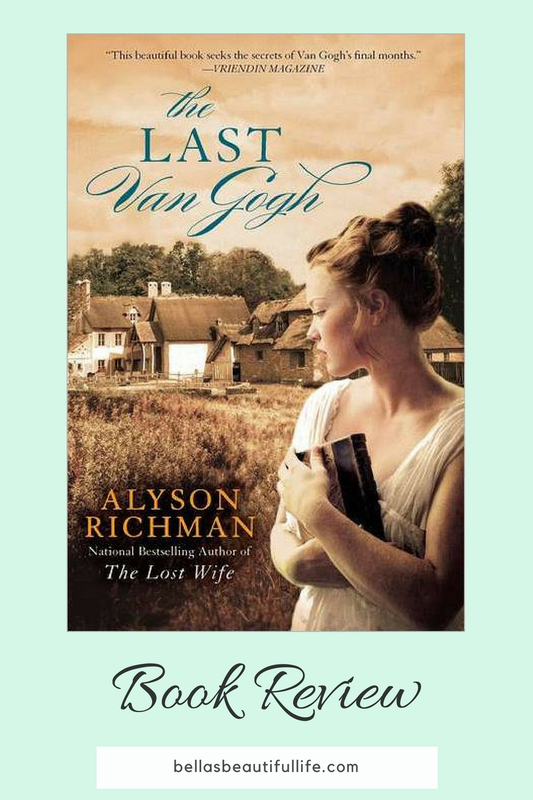 A beautifully written historical romance novel, The Last Van Gogh, paints a fictionalized story of the final weeks of Vincent’s life and the tragic relationship between an artist filled with despair and his muse, a hopeful young woman. Despite the hinting of the title, the story isn’t entirely about Van Gogh, it is actually about the Gachet family – Marguerite, her brother Paul, and their father. So, if you’re expecting a novel from Vincent’s perspective, you will be disappointed. In Summer of 1890 Van Gogh arrives at Auvers-sur-Oise, a rural French village, to receive treatment for his ill-health from Dr. Gachet, who would be his last doctor. The story is told from the viewpoint of Marguerite Gachet a 20 year old young woman, the daughter of Dr. Gachet. Marguerite is familiar with her father's revolving door of artist patients including Pissarro, Cezanne, and Bernard. But something about Vincent causes her to become enamored with him soon after he arrives for treatment at her father’s home in Auvers. During the last weeks of his life, Van Gogh created over 70 paintings! Marguerite Gachet was painted twice by Vincent while he was staying in the village. There was communication between Vincent and his sister that referred to a third painting of Marguerite seated at an organ. Scholars believe Van Gogh never finished the painting. The Last Van Gogh is about the events surrounding the Gachet household that might have led up to this last painting. As the story unfolds we see that since the death of her mother, Marguerite has been not much more to her father, than a loyal non-paid servant. Marguerite is continuously disrespected and punished for wanting to be independent, because of this her life often leaves her feeling bitter and confused. Throughout the story we are given glimpses into the sad life that was led by Marguerite’s now deceased mother. Marguerite’s father a failed painter turned doctor, finds great pride in his extensive art collection. Paul is a wannabe artist who just doesn’t have the talent, but refuses to give up. I found it sad that he had so much love and passion for art, but that there was no chance of him becoming a professional artist. Between posing for Vincent’s paintings, slaving for her father, and trying to attract the attention of Vincent, Marguerite discovers a family secret. In the midst of the ups and downs, Marguerite finds an unlikely friend and makes heartwarming progress with her complicated, forbidden relationship with Vincent. She eventually finds the courage to sneak out and meet with Vincent on different occasions, which results in tension between her and her family. It’s hinted at that the reason Dr. Gachet doesn’t want Marguerite getting involved with the outside world is because he’s afraid he will lose his servant. Paul is jealous of his sister because he yearns for the same attention from the elusive Van Gogh, and he does everything in his power to ruin his sister. The peaks of the story are slightly breathless, but that was Van Gogh’s style in life and art, so I think it was super creative how Richman executed these parts of the story. There is an interesting author's notes section at the end of the book that explains some of why Richman wrote this book and what stories and inspiration she used to create the storyline. This made me appreciate the novel even more. I personally like when fiction books (and movies too!) contain bits of factual stories. This novel made me want to do more research about Van Gogh. 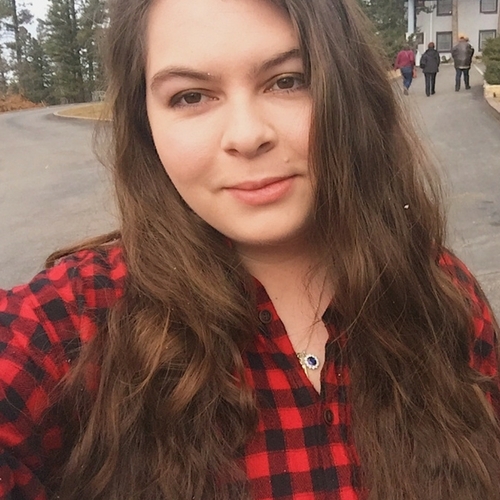 Alyson Richman is a good writer, and I honestly wouldn’t mind reading some of her other books. The characters are authentic, making you feel as if you play a minor role in the story. Richman has a unique ability to create colorful, intriguing characters, which I think is really important in general, but especially when the novel is about an artist. The story starts off slow, but it builds to faster more satisfactory pace as it goes on. All in all this was a novel that I would definitely recommend for you to add to you TBR (To be read) list.